Jennifer Lopez may be reveling in her singularity right now, but it looks like her ex-husband and father of her Twinz is going in the exact opposite direction, into the arms of another. 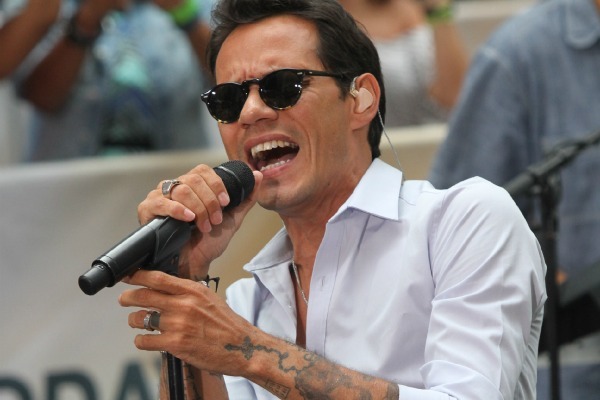 According to US Weekly, Marc Anthony is ready to embark on his third marriage, this go-round to his "on-again, off-again" Venezuelan model girlfriend Shannon De Lima. They are supposedly getting hitched this month in the Dominican Republic, according to "a source." Guess that means they're on! This comes as a huge blow to those of us who harbored some secret fantasy of one day going on a single date with this guy. (JUST ONE SINGLE DATE, though. We've heard the rumors. Just tryna get it in and out rill quick, feel me?) Do not judge. You folks have your Cumberbatch re: relatively odd-looking famous man over whom you lust, I have my Anthony. Dammit.) Sure, sure, maybe he looks like Skeletor, as coined so long ago by Crunk & Disorderly creator and brilliant humorist Fresh (among others). But dammit, he is my Skeletor. Have you seen him live? If you see him live, you'll get it. ANIMAL MAGNETISM. And one of the greatest performers of our time, of course. Related: for some reason I've never really noticed Anthony's Kokopelli flute tattoo until now. He has a really nice rosary tatted on his left wrist, but maybeeeee.... I'm having second thoughts. Congrats to the happy couple!